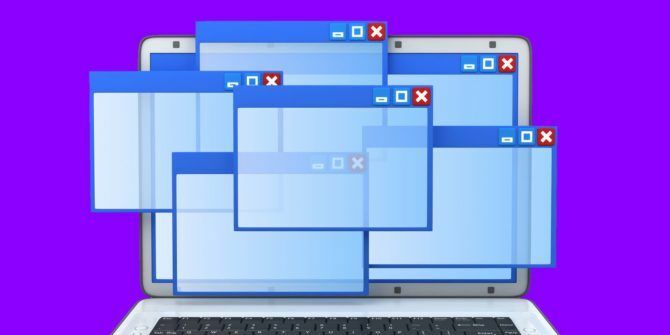 Any Windows user who works with more than one program at a time knows that your workspace can quickly become messy. Thankfully, there are all sorts of ways to control your Windows desktop 7 Ways to Organize and Control Your Windows Desktop 7 Ways to Organize and Control Your Windows Desktop Your Windows desktop is more versatile than you think. You can utilize a number of tricks and tools to keep things tidy and get things done quicker. Read More to keep it from getting unruly, thanks to Windows 10’s multiple desktops and easy window snapping. If you’d like to get even more out of Windows window management, the free tool AquaSnap is for you. It’s a lightweight program that adds natural expansions to already supported Windows shortcuts. For instance, you can drag a window to one of the four corners of your screen to snap it to that quarter. This lets you have four windows showing at once instead of two — perfect for anyone with a 4K or dual-monitor setup How to Be More Productive with Dual Monitors How to Be More Productive with Dual Monitors You need space for several documents, to get an overview and swiftly shift between tasks. What's true for your desk also applies to your virtual workspace. We show you how it matters. Read More . What’s more, once you’ve snapped some windows into any format you like, holding Ctrl and dragging them will automatically resize adjacent windows. AquaSnap also adds some simple quality-of-life features that make you wonder why they aren’t built into Windows in the first place. It makes all windows magnetic, meaning that they snap to other windows then they get close. This means you don’t waste time trying to align everything on your screen perfectly. You can also extend a window to the end of the screen by double-clicking on any edge of it. Or, shake an app and it becomes transparent and stays on top of the screen. With keyboard shortcuts 12+ Custom Windows Keyboard Shortcuts for the Geek in You 12+ Custom Windows Keyboard Shortcuts for the Geek in You Windows includes hundreds of keyboard shortcuts, but you can create your own shortcuts to nearly anything you'd like. Here's how to customize your Windows shortcuts. Read More , a tiny footprint, and compatibility with every Windows version since Windows 7, AquaSnap is a simple but essential boost for anyone who works in Windows all day. Will these shortcuts help you work more efficiently in Windows? Let us know if you prefer a different window management booster in the comments!